Cross selling can be tricky, but when it’s done right it can be a treat, for both the customer, and for the retailer’s bottom line. Everybody recognises cross merchandising. The packets of marshmallows on display next to the hot chocolate in the grocery store; the batteries packed near the battery-operated toys; or the handbag conveniently on display near matching shoes. According to managementstudyguide.com’s definition, cross merchandising is the display of unrelated products, where the retailer makes a profit by linking products, which are not related in any sense and belong to different categories. It helps customers to become aware of various options, which complement products and this makes shopping a pleasurable experience as it saves customers precious time. It certainly isn’t a new concept, but when done correctly can lead to an increased basket value. 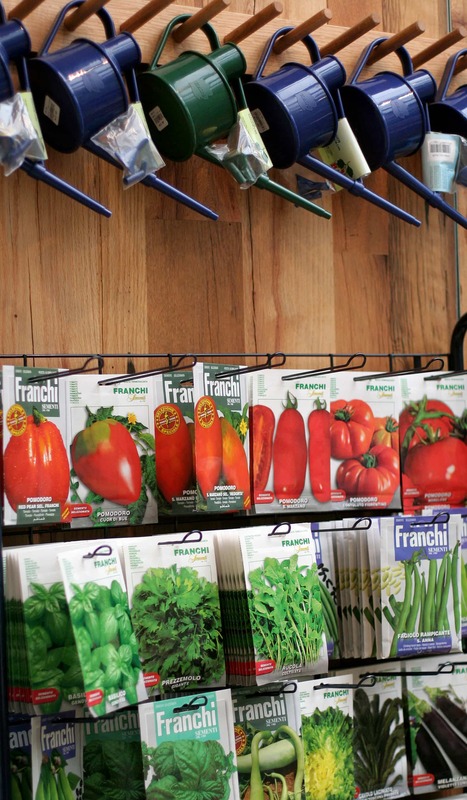 The trick is to do it in a manner that customers are able to make a logical connection – you wouldn’t put pesticides by fasteners or interior paint with your outdoor display. Here are some examples of how to get cross merchandising right. Fashion retailers understand the power of cross-merchandising best. A pair of trousers is displayed on a mannequin with a shirt, a jacket and a pair of sunglasses. Instead of having to think what would match with the pair of trousers, the shop has explained to the customer how to mix and match the outfit. Another example is displaying socks right next to sneakers, or for a shoe store to have socks at the tills. While a customer queues, the sock display will remind the customer that they need new socks. For hardware retailers a good idea is to place paint-relevant products in the paint department. Everything from drop sheets, brushes, rollers and masking tapes. With winter around the corner, it presents an ideal opportunity for retailers. Indoor and patio heaters can be placed close together along with fire standers and lighting equipment. Load shedding will most likely become a regular occurrence this winter. Along with standby lighting, batteries can be placed close by. At the battery display, add rechargeable batteries and torches at a premium. Immediately the customer’s basket value has increased with smaller, but significant, buys. Cross merchandising creates a customer experience story – it can be a short story or an aspirational story. To achieve this you paint a picture by placing a variety of merchandise in a prominent place. When customers see it all together they realise that these products will make the task at hand much easier and efficient or remind them of something they need. The best example of this was an outdoor patio display in a store. From the nursery in the mega hardware store were three small plants arranged on the table, with six chairs placed around it. The chairs had cushions on them from the furniture section of the same store. Arranged next to the table and chairs was a cooler box filled with cold drinks. A big gas braai also formed part of the display with a giant umbrella on a stand protecting the table and chairs. Close by were lanterns with citronella oil to keep away mosquitoes. The whole display paints a perfect Saturday afternoon experience and aspiration for the customer. While they may not buy the whole display, it might encourage the consumer to get new patio chair cushions and a cooler or perhaps some cold drinks and a few citronella lanterns. This has planted a seed for what the customer might want soon and they’ll remember exactly where to get it. Cross merchandising is often done with more luxurious products displayed next to a necessity, and it’s the luxury item that drives a larger basket value. It’s the retailer’s responsibility to come up with creative solutions to cross-sell and to train sales staff in various departments to think a step ahead.